We're in the big leagues now, kids. 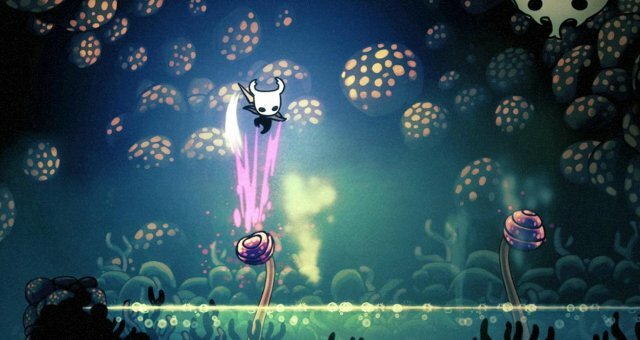 Now, you may think, 'wait, haven't I beaten the Hollow Knight before? Surely this isn't that different'. Well, yes, you have a point. 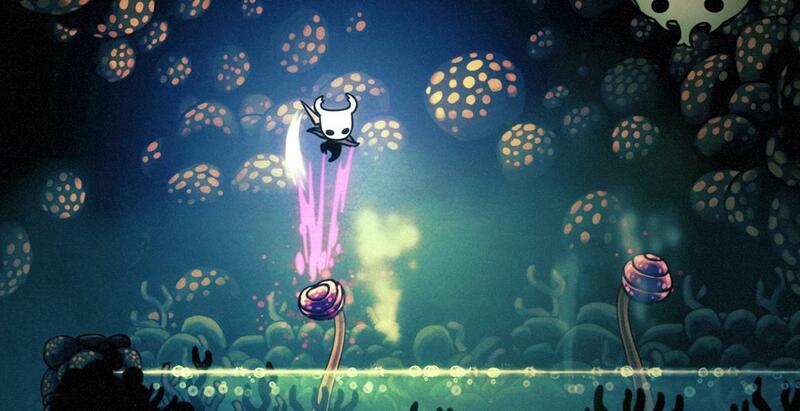 But counterpoint- this is how the usual Hollow Knight boss battle goes. Try that crap here, and the Pure Vessel will be mailing your battered corpse back to the pale king in a jam jar. There's no infection to weaken the Vessel, no arbitrary pauses for self-impalement, no pathetic lurching around the stage to try and reach you. There's just you, locked in a room with the deadliest goddamn thing this game can throw at you. No tricks, no jackassery, just nail to nail with a thing that is perfectly designed to stab you in the face very, very hard. Slashes: When the Pure Vessel is close to you, he may slash three times. If you time it right, you can parry every hit. Don't, though. Pure Vessel is better at nailfighting than you are. Jump, or Shadow Dash through the vessel. DO NOT run away- the Vessel is faster than you, too. Dash: If Pure Vessel is somewhere nearby, he may ready and launch a Dash Attack. It's FAST. Jump over it. Projectiles: The Pure Vessel teleports far away, and launches a spread of knives at you. You can see their trails beforehand, but there's usually not enough time to meaningfully dodge. Jump and Shadow Dash through them. Slam: The Pure Vessel either jumps above you or teleports, pausing in midair to launch a downward strike, which then spawns a set of soulknives from the ground. DON'T hit the Vessel while these are out- the knockback will push you into one of the knives. Jumping will help you avoid the knives, and if you get above the Vessel, you can retaliate with your own Slam. Parry: If nearby, the Pure Vessel will raise its nail and briefly block incoming nail attacks. If hit during this time, he will retaliate with a vicious counterblow. You can't dodge this by jumping or running away- the only way to not take damage is to Shadow Dash through the Vessel. Focus: Once at about 2/3 health, the Vessel can Focus, creating a huge sphere of space that will damage you once fully charged. After that, eight smaller spheres will appear randomly around the stage. If perfectly timed, you can Shadow Dash through the large sphere. Don't try- if you see the Vessel focusing, retreat or use a Slam for the invincibility frames! Tendrils: Once at about 1/3 health, the Vessel can use a Tendril attack, unleashing the Void within to strike across about 60% of the stage. This attack has a huge range, and the Vessel often substitutes it for the Projectile attack. You can dodge by outdistancing it, but your best bet is just to jump and get as close to the Vessel as possible, so that you can counterattack with a Slam. Knockdown: After about 12 hits, the Vessel will be knocked down BRIEFLY. You can focus ONCE during this time, or use the opportunity to wind up a devestating Slam. Strategy: First and foremost, do not freak out. The Pure Vessel is fast and agressive, and never walks when it can teleport. But the trick to dodging pretty much all of its attacks is to JUMP, and/or move TOWARD the Vessel. The only real exception to this is Focus, so watch the Vessel carefully for that. Magic will serve you well here, as the Slam can get you out of a lot of sticky situations, and does fantastic damage against the Vessel, too. Just keep calm, and rise to the challenge. Victory will be all the sweeter for it. Charms recommended: Longnail, Quick Slash, Strength, Soul Eater, Shaman Stone. Ascended changes: 15% health increase. It's enough.